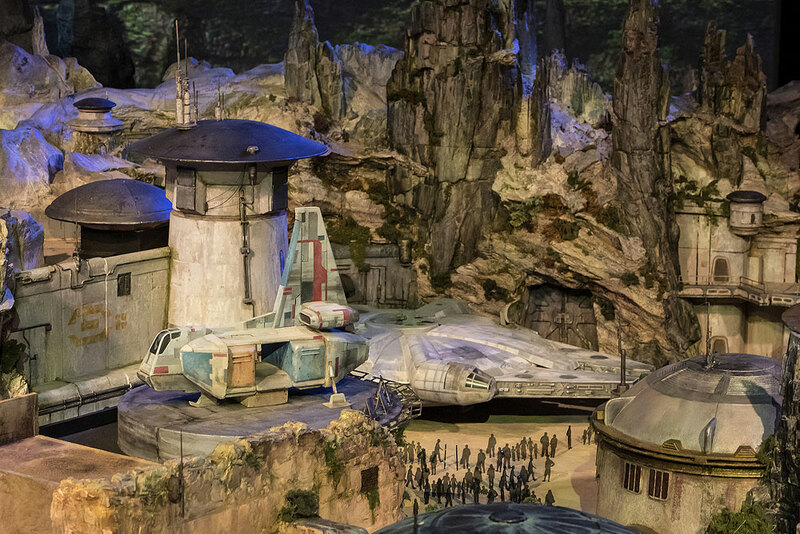 Slowly but surely we are starting to get some details of the new Star Wars Land over at Disneyland Park in Anaheim, CA and Disney Hollywood Studios in Orlando, FL. 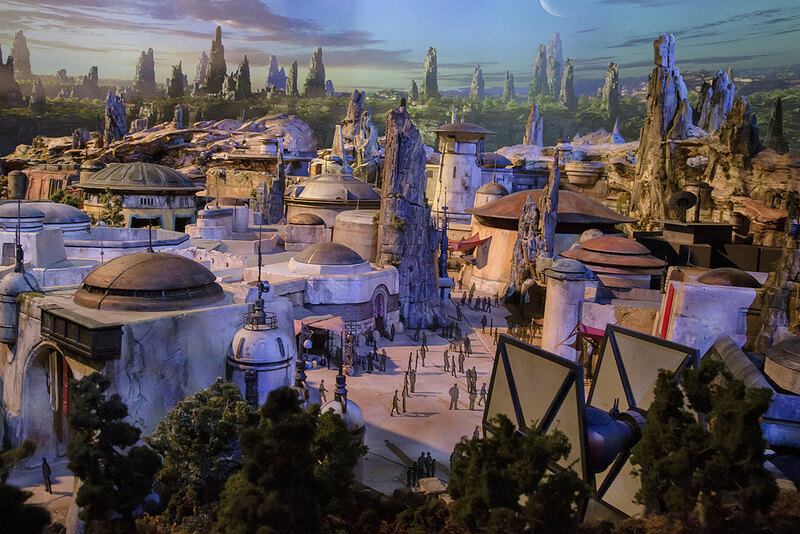 Walt Disney Parks and Resorts Chairman Bob Chapek unveiled a first look in the form of an epic, large scale model. 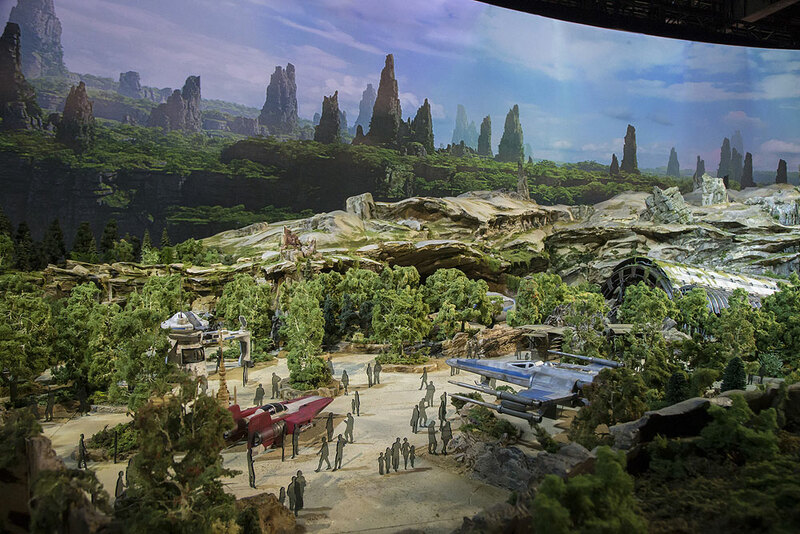 The model is currently on display at the D23 Expo in the, “A Galaxy of Stories” pavilion. One of the things that I find quite fascinating is how different the two separate entrances will be. One on the Frontierland side you enter through a tunnel right into an area is that is controlled by the First order. 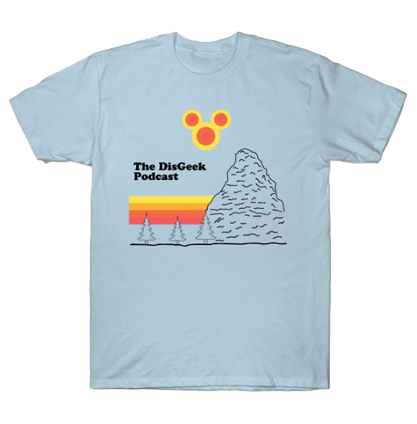 While on the Critter Country side of things is an area that the Resistance has a foothold in. With an A-Wing and an X-Wing docked. The entire land takes place on a forgotten planet. A Radiator Springs in space if you will. With the invention of light speed, this planet has became less popular as starships just zipped right by while traveling to more popular locations. Which would make this planet a perfect spot for scum and villainy. Or so the story goes. 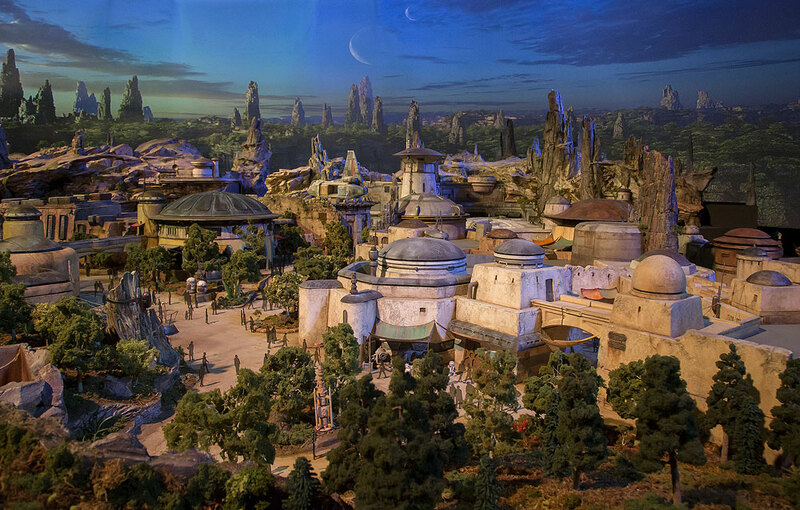 Star Wars land will open in 2019. Beginning tomorrow, Disneyland park guests will have the chance to stroll down memory lane when “Fantasy in the Sky” fireworks returns. This classic Disney Parks nighttime spectacular began lighting up the sky above Sleeping Beauty Castle in 1958, and was last seen in regular performances 2004 – later to be seen in special showings on New Year’s Eve. It has also been featured at Disneyland Paris and Magic Kingdom Park at the Walt Disney World Resort. “Fantasy in the Sky” returns tomorrow night with its familiar soundtrack, featuring classic Disney tunes, and an all-new fireworks program. Come see this Disney Parks favorite soon, because it will only be presented for a limited time. We’re very excited about everything to come in 2015… stay tuned for more updates!